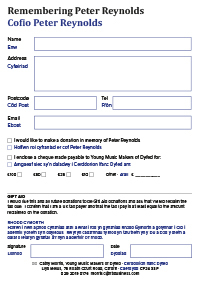 The death of Peter Reynolds on 11th October 2016 was a huge shock to all of us at Young Music Makers of Dyfed and leaves us with a massive sense of loss. 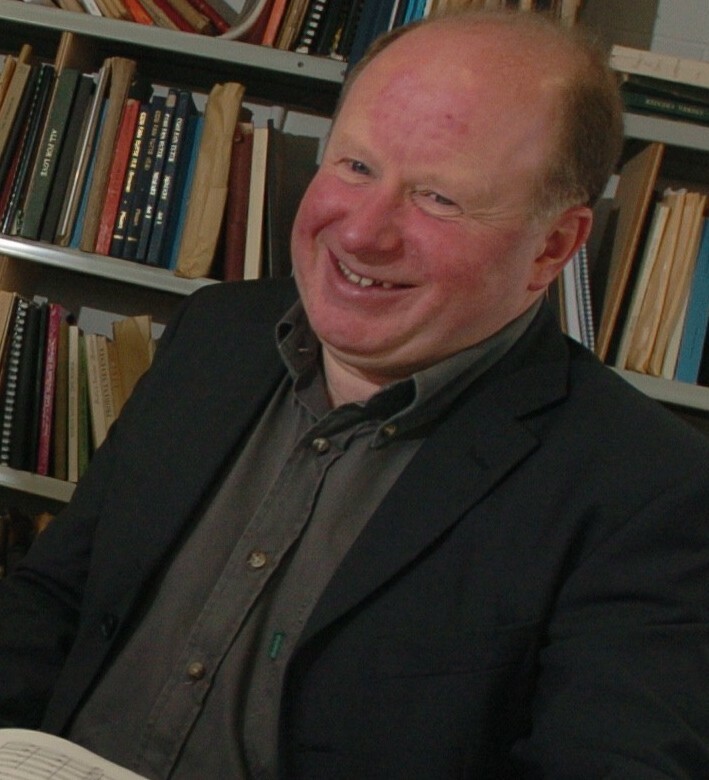 Peter had been involved in our Young Composers scheme for many years – first as an adjudicator and then as our Resident Composer from 2010 – 13 and again in 2016. Indeed at the time of his death he was in the middle of delivering composition workshops to schools across West Wales. Equally important, he was a massive advocate of our activities, spreading awareness of our work with his large network of friends and colleagues in Wales and across the UK. Peter was invaluable in his patience and generosity while working with many of the applicants. His suggestions for improvement never felt like a composer channelling his own preferences through easily influenced youngsters but rather that of an excellent teacher trying his best to help us find our own feet. One of the hardest things I found when it came to composing was getting what I had in my head down on paper. Peter started to show me how to do this by simply writing down everything I had in my head in a picture, an illustration which depicted the sounds and the textures within my mind. This helped enormously and instantly a new side of me appeared where I found what I wanted, what I could hear was achieved on paper. I felt that I was no longer composing because I had to; I was composing because it was what I wanted to do. YMMD is setting up a fund in Peter’s memory. All donations will be channelled towards supporting young composers who wish to follow in Peter’s footsteps.